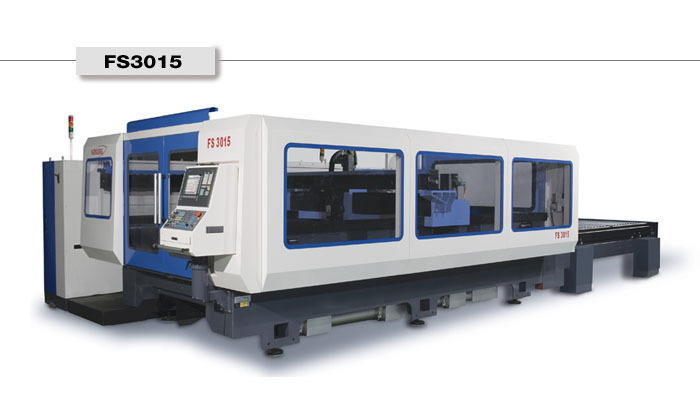 Han-Kwang USA announces immediate availability of its new Series PL, specifically Model PL 3015, a long bed, 2D flying optic laser system capable of handling 60” wide x 120” long workpieces. With a long bed gantry arrangement, less motion is required on the machine, providing greater working stability and reduced maintenance requirements. Model PL 3015 features rapid single axis speed of 4724 ipm, simultaneous X-Y axis speed of 7900 ipm and maximum cutting speed of 1181 ipm, all with positioning accuracies better than +/- 0.004” per 118” of travel and repeatability to 0.001”. A dual shuttle pallet system is onboard to maintain optimum productivity in processing. This Han-Kwang laser system features a powerful Panasonic CO2 laser resonator in 2, 2.5, 4 and 6 KW versions, as well as the builder’s patented beam radius control, which optimizes the beam diameter for various material substrates and thickness variations, resulting in improved part quality. Additionally, the constant beam delivery system on the Han-Kwang laser provides better consistency in the beam quality at the focal point. These features and benefits to the user are delivered in the S5 high-speed cutting head found on the machine. The advanced Han-Kwang sensing board and head design improve cutting speed for all sheet metals, according to the manufacturer. 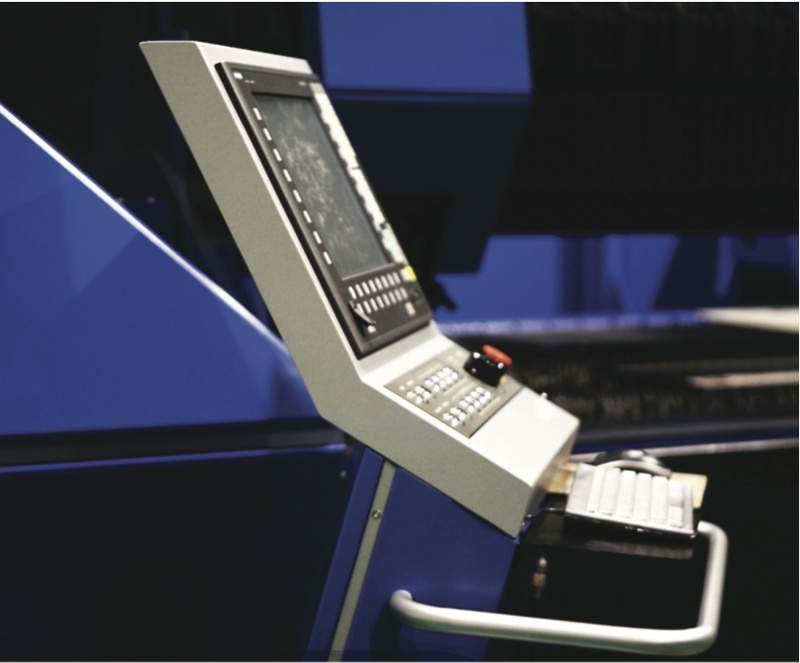 A plasma monitoring unit constantly tracks cut errors to further reduce out-of-tolerance conditions in the cutting cycle, while a built-in lens crack sensor monitors the state of lens contamination, with instant alerts through the onboard Siemens CNC to provide operators and maintenance personnel useful and immediate alarm notifications. All machine mechanical movements and laser cutting operations are controlled by the powerful Siemens SINUMERIK 840D CNC. With its open architecture, 10GM hard drive and plain language commands, the CNC enables faster start-up and reduced time to first part for the programmers and operators alike. Further, a remote service support feature allows online communication to the CNC manufacturer for troubleshooting assistance. An optional rotary axis is available for tube cutting up to 12” OD with this Han-Kwang laser system. Fully automated materials handling systems, pallet towers and other equipment for production improvement are also offered by the company. Editor note: Robert Won, director for North American operations, is available for interviews to discuss the company, its laser technology and other aspects of the industry. Han-Kwang is Korea’s largest laser builder and the company has embarked on an aggressive marketing effort in North America. 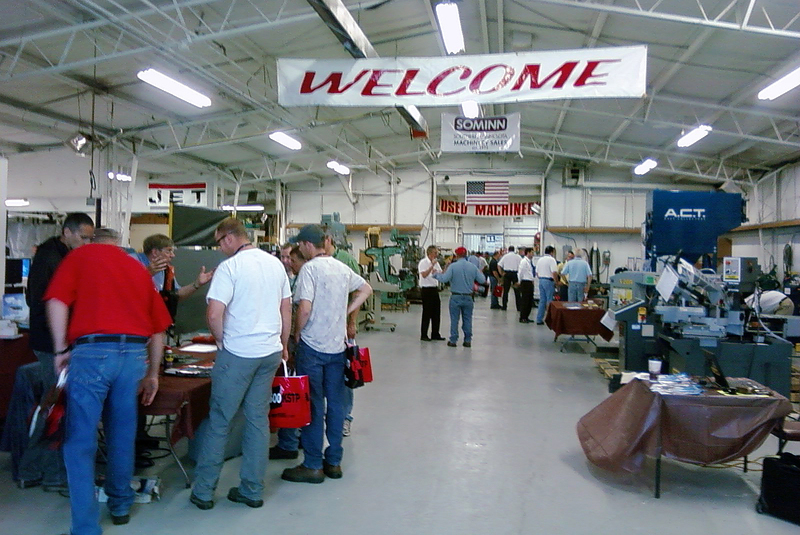 Over 400 customers attend Sominn event to see metalworking machines, meet company representatives. Han-Kwang USA, a leading supplier of CO2 lasers and automated handling equipment for metalcutting operations, attended the Open House held on July 21-22 by its dealer, Southern Minnesota Machinery Sales (Sominn) in Dodge Center, Minnesota, just south of the Twin Cities. Over 400 customers of this major machine dealer attended the event, where Han-Kwang’s Director of North American Operations, Robert Won, was present to discuss his company’s offerings. Highlighting the Han-Kwang presentation was the new PL-3015, a dual-shuttle table, 60” x 120” workpiece, long bed CNC laser, available in various KW power models. Sominn is the Han-Kwang dealer for Minnesota, North Dakota, South Dakota and Eastern Iowa. The company sells and services Han-Kwang plate and tube lasers, as well as over 20 other leading brands of metalworking and fabricating machinery, including various waterjet, plasma cutting, press brake, shear, saw, bending and other equipment. The open house was held at Sominn’s 30,000 square-foot showroom, with representatives from all their lines present to discuss the equipment needs of those in attendance. Sominn President J.J. Francis hosted the event, which drew attendees from this dealer’s entire territory, during the two days. Sominn has been a major dealer in the area for 38 years and is a member of the Machinery Dealers National Association (MDNA). For more information on this dealer, please visit http://www.sominn.com. 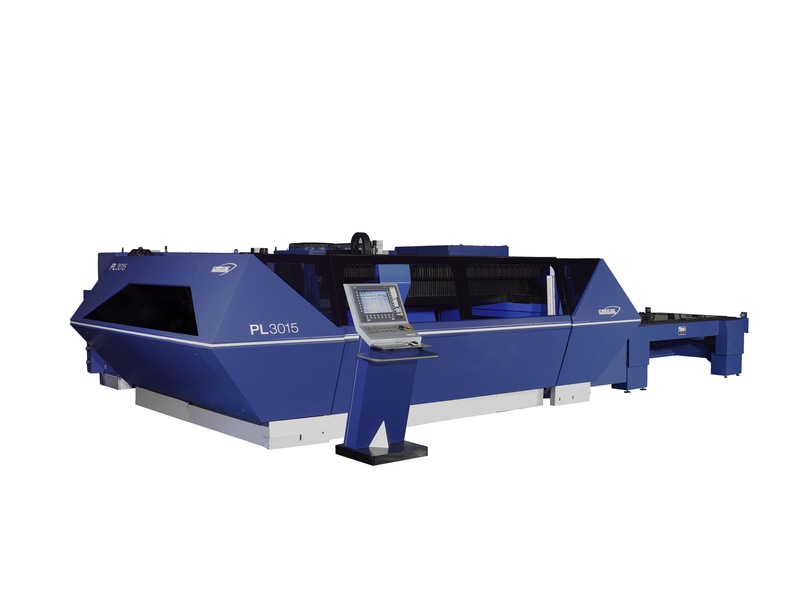 Han-Kwang USA announces immediate availability of its new Series PS, specifically Model PS 3015, a short gantry, 2D flying optic laser system capable of handling 60” wide x 120” long workpieces. With the short gantry arrangement, operator vision is enhanced on the machine, plus the more compact design facilitates a high degree of regulation in the cutting process. Model PS 3015 features rapid single axis speed of 4724 ipm, simultaneous X-Y axis speed of 7900 ipm, driven by twin servos on the gantry and maximum cutting speed of 1181 ipm, all with positioning accuracies better than +/- 0.004” per 118” of travel and repeatability to 0.001”. A dual shuttle pallet system is onboard to maintain optimum productivity in processing. This Han-Kwang laser system features a powerful Panasonic CO2 laser resonator in 2.5, 4 and 6 KW versions, as well as the builder’s patented beam radius control, which optimizes the beam diameter for various material substrates and thickness variations, resulting in improved part quality. Additionally, the constant beam delivery system on the Han-Kwang laser provides better consistency in the beam quality at the focal point. These features and benefits to the user are delivered in the S5 high-speed cutting head found on the machine. 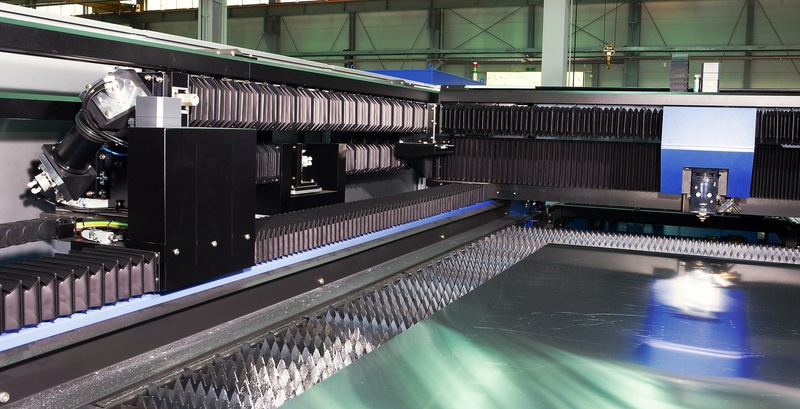 The advanced Han-Kwang sensing board and head design improve cutting speed for all sheet metals, according to the manufacturer. All machine mechanical movements and laser cutting operations are controlled by the powerful Siemens SINUMERIK 840D CNC. With its open architecture, 10GB hard drive and plain language commands, the CNC enables faster start-up and reduced time to first part for the programmers and operators alike. Further, a remote service support feature allows online communication to the CNC manufacturer for troubleshooting assistance. 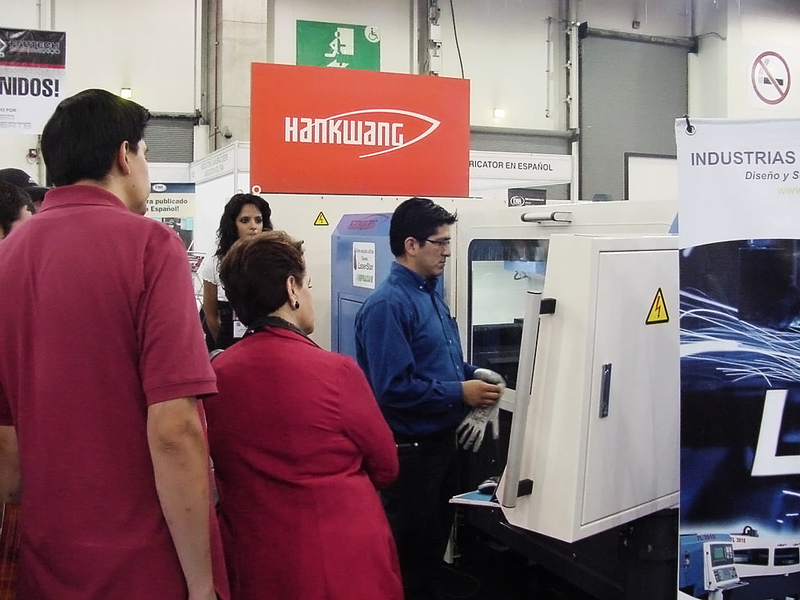 Han-Kwang USA recently attended the Fabtech Mexico show, co-located with the Metalform and Weldmex shows. Over 8000 visitors per day were in attendance to see over 400 exhibitors and hundreds visited the Han-Kwang booth to watch the company’s plate laser, Model FS3015, in action. Onsite for this exhibition were Han-Kwang’s director of North American sales, Robert Won, as well as engineer Philip Kim and the company’s distributors in Mexico. 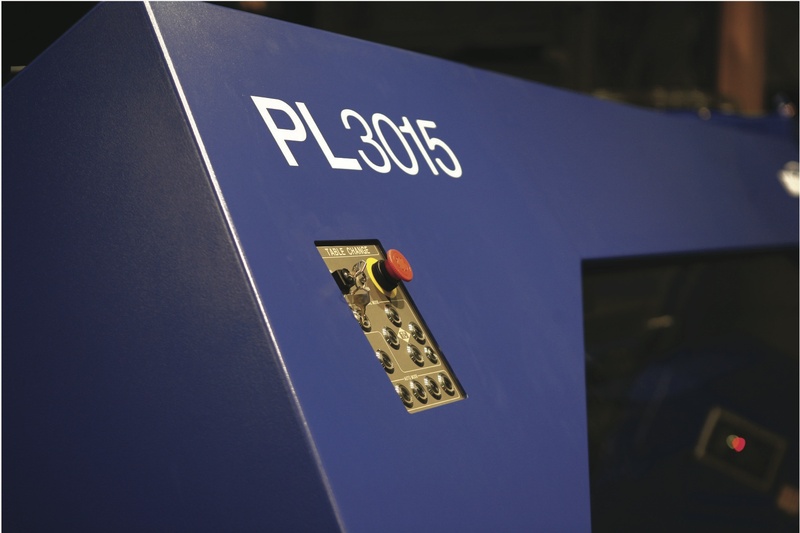 The FS3015 is a 5’ x 10’ plate laser with shuttle tables, flying optic design, fast-axial flow type Panasonic resonator, S5 high-speed cutting head, twin servos for precise gantry motion and Siemens CNC, motors and drives to power and control the machine’s total operation. This plate laser is available in 2, 2.5, 4 and 6KW models to handle any type of plate cutting with speed and precision position accuracy to +/- 0.004” per 120” of travel. 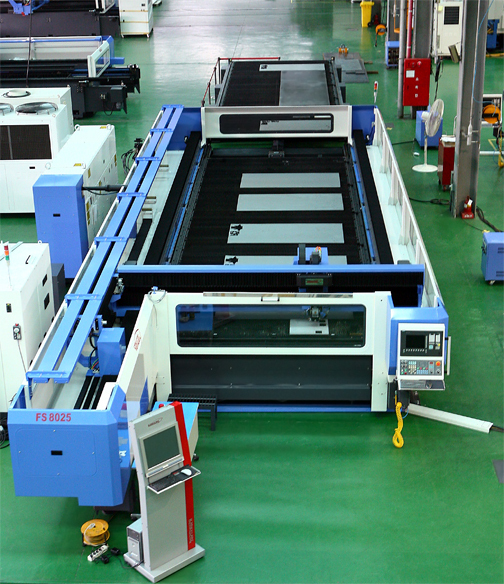 The machine also has automatic focus control with multi-pulse piercing technology, unique to Han-Kwang. This machine was specifically chosen for display at the booth during Fabtech Mexico, because of its performance and value combination for the local market. Han-Kwang USA announces the introduction of its largest laser model, built to date. 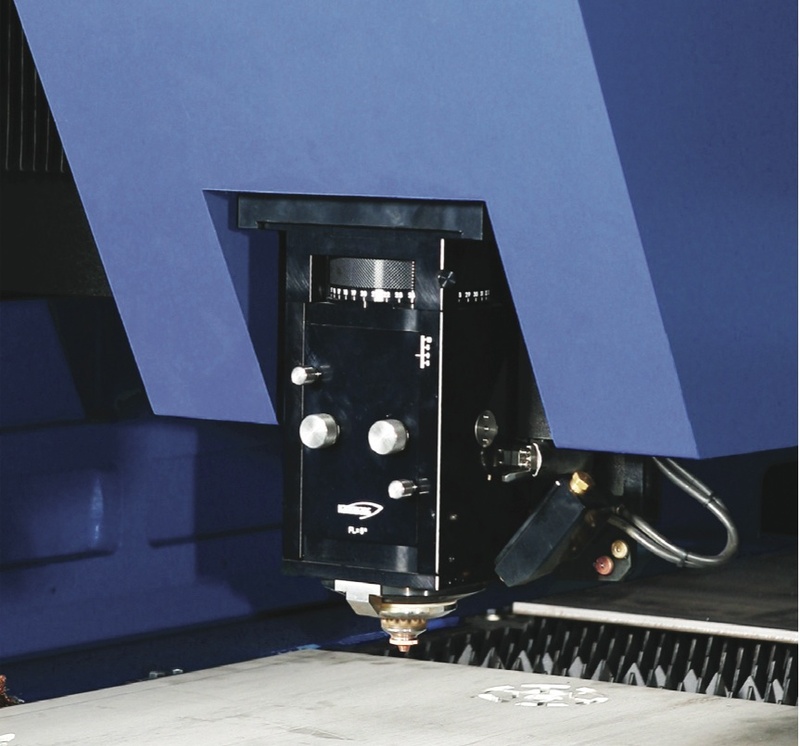 The FS8025 is a flying-optic CO2 laser cutting system with dual shuttle tables, each measuring 26’ long by 8’ wide. This laser system is immediately available for sale in the North American market. Powered by either a 2.5KW, 4KW or 6KW Panasonic laser resonator, the FS8025 is the only laser in industry on which the cutting head can cover the entire 26’ x 8’ worktable area without repositioning the table in process, according to the manufacturer. All other currently available laser machines must reposition the table to process such a large area, resulting in longer cycle times and severe limitations on the cutting of very long, continuous part surfaces. Also eliminated are the inherent inaccuracies that result from repositioning the table in process. 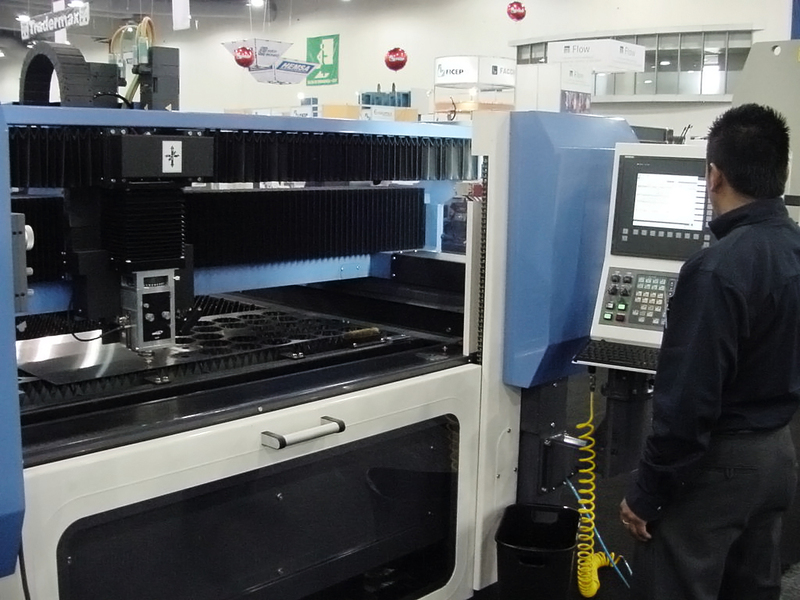 Other features on this new machine line from Han-Kwang include a Siemens 840D CNC, the builder’s unique Constant Beam Distance System (CBDS), automatic edge detection and sheet axis realignment, quick-piercing cross-jet system, multi-pulse piercing, high-speed cutting head and synchronized twin servo motors on the gantry with auto-focus control. Won also detailed other models of the large table laser systems in this new line from Han-Kwang, including FS8020, FS6025, FS4025 and FS4020. All models are currently in production. Interested parties should contact the company or their local Han-Kwang dealer for details.